Dr. Wallach discusses his groundbreaking comparative pathology study of American, Canadian and Mexican zoo animals, funded by the National Institutes of Health, which led to the authorship of the 1,200 page Diseases of Exotic Animals that is now in the Smithsonian Museum as a national treasure; the 1910 Flexner Report which gave rise to modern medical education; epigenetics, the study of environmental effects on gene expression; the 90 essential nutrients; gluten intolerance; causes of soil depletion; and the role that nutrition plays in the prevention of degenerative diseases. He played a major role in the development of the market of liquid vitamin/mineral supplements. Dr. Wallach is a Veterinarian, Naturopathic Physician, and holds a Post doctorate fellowship in comparable pathology, as well as being an author and lecturer. He is the author of many books including Dead Doctors Don’t Lie, Epigenetics: The Death of the Genetic Theory of Disease Transmission, Black Gene Lies, and Rhino Express: The Saving of the White Rhino. 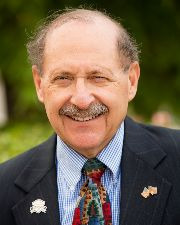 For more information about Dr. Wallach and his nutrition program call 1-888-311-4311 and Marj can help you. Crazy that after listening to Wallach this morning, I'm listening to this on WNYC (https://www.wnyc.org/story/industrial-food-system-effects). She talks about the soil becoming deficient just as Wallach, and the benefits of whole foods (butter). I think Dr. Wallach is inspiring and wonderful, but I take issue with how he seems to walk all over the toes of other good, hip researchers such as Dr. Mary Enig (fats) and Dr. Robert Lustig (sugar). There is something apparently self-aggrandizing about Dr. Wallach that definitely gets my discrimination up. But I still think he's great. Wallach provides some critical new information, that after studying the cause of death first for thousands of animals, then for humans, he proves that deficiencies of specific minerals causes major illnesses, not only in animals but also in humans. Also, gluten from wheat causes all kinds of problems because it kills off the stomach villa and some people have been so damaged for eating wheat products for decades that it can take up to 6 months or longer to regenerate stomach villa. With no villa, the stomach can't absorb much of anything which means food remains undigested and results in "leaky gut" and other problems. Thank you Bonnie for a great show and interview, I've been telling everyone to listen to this show. This is one of those OMG Guns and Butter shows that everyone should listen to regarding health.